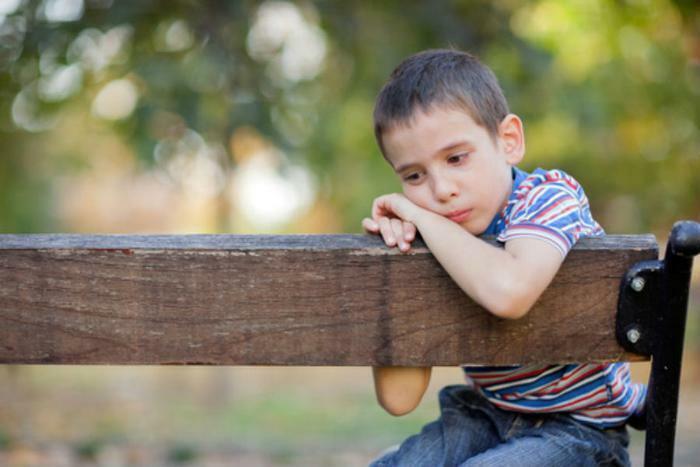 With children’s mental health diagnoses on the rise nationwide, getting the proper treatment can often be difficult, as the adults around them may not even notice a change in behavior or mood. Researchers from the University of Vermont realize how troublesome this can be for both children and their parents. In the hopes of diagnosing and treating children as early as possible, they created a wearable sensor that can help detect any mental health struggles in young children. “Because of the scale of the problem, this begs for a screening technology to identify kids early enough so they can be directed to the care they need,” said researcher Ryan McGinnis. The researchers label both anxiety and depression as “internalizing disorders.” To try and catch them as early as possible, they developed a wearable sensor that would be able to monitor and track children’s moods and feelings. The study included over 60 children aged three through eight and their caregivers; some of the children were confirmed to have an internalized disorder at the start of the experiment. While the parents were required to fill out a questionnaire and be interviewed on their child’s past and current mental health concerns, the children participated in an experiment designed to elicit feelings of anxiety, while wearing the sensor to track their responses. Researchers led the children into a dimly lit room, slowly building anticipation, and then brought the children to a covered terrarium. After removing the cover, the researchers pulled out a toy snake, that they quickly assured the children was just a toy, and encouraged them to play with it. The sensor tracked the children’s movements throughout the whole course of the experiment, and the researchers learned that the children with anxiety responded differently than those who didn’t. According to the study, children with anxiety were more likely to turn away from the terrarium before the researcher revealed the snake, as the anticipation was what made them most anxious. The researchers were confident in the sensor’s abilities to detect anxiety, as they were able to get results in a much shorter time span; they believe the device can help young children from an earlier age. Additionally, the results from the sensor were over 80 percent more accurate than the responses from the parent questionnaire. Early detection is key in these cases. The researchers note that if anxiety disorders go undetected or untreated, it can cause greater concerns down the road. “If anxiety symptoms do not get detected early in life, they might develop full-blown anxiety and mood disorder,” said researcher Maria Muzik. Researchers suggest there are several stimuli that can contribute to feelings of anxiousness, and there are ways parents can help their children who are suffering from anxiety. For starters, sleep -- or lack thereof -- can affect anxiety, as can smartphones and other technological devices. Giving kids the opportunity to be physically active -- whether through playing outside or exercising -- can also be beneficial to their overall mental health.